thanks Angus and thought I had finally done it when the thing detected I'd registered for liverpool (in desperation) and I was stauck again on email address /password , excuse me while I go open avein or 2 !! I added a photo. It appears on some pages but not on the team view. I wonder if I might have to leave the team and then come back? I actually really hate that web site. All nine in the group are showing photos, had to change mine to include a mug shot like everyone else. Seems that changes need time for the site to catch up, so to speak. Ah yeah - thanks. I'm the artist formally known as Stephen Beckett. Had registered to do this but have realised it conflicts with the South Lakes VMCC weekend which I am committed to. Does not appear to be any way of deleting the entry. I wouldn't worry about unregistering. You're under no obligations. I'm sure hundreds (if not thousands) of people register without riding, and vice-versa. 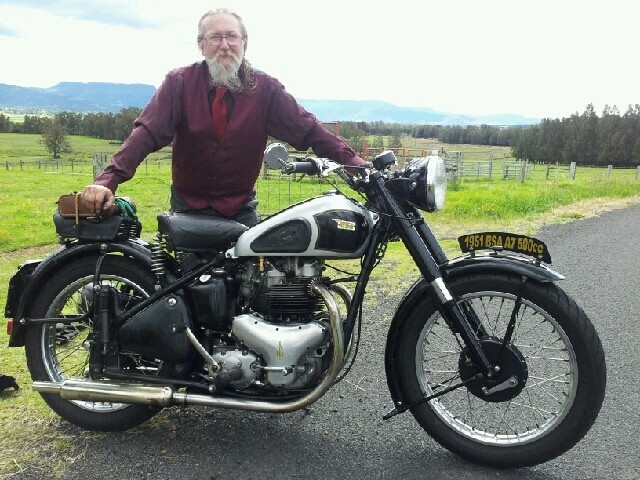 Hi Sav, I rode last year on a standard VMCC run and registered on the forum team and ride. I was the only one and dressed up so took a bit a ribbing, but it gave them something to talk about and made them aware of the DGR and so its on the events list for this year. Hopefully I will not be on my own. I've just been on that 'orrible DGR webshyte to change my ride to Coventry and edit my intro and add a picture. Come on chaps; let us have some more of you signed up to this cause that may now or later affect your life! 11 members so far! Come on, lets be having you! You don't need to dress up. You don't actually have to join an official DGR ride. Just join our team and get involved in raising money for this cause.